Glorious Gold Nuggets (and Black Cherries and Isis Candies)! Over two pounds of sweet, sweet cherry tomatoes have made it onto our plates so far this summer. That’s good, not great. But we’ll take what we can get. The latest crop met its match with the contents of last week’s amazing CSA share from Greensgrow. Delicious spinach pasta from Superior Pasta, POD cucumbers, POD oregano, and Boltonfeta from Hidden Hills Dairy all combined to make a pretty awesome spoof on the traditional Greek salad. 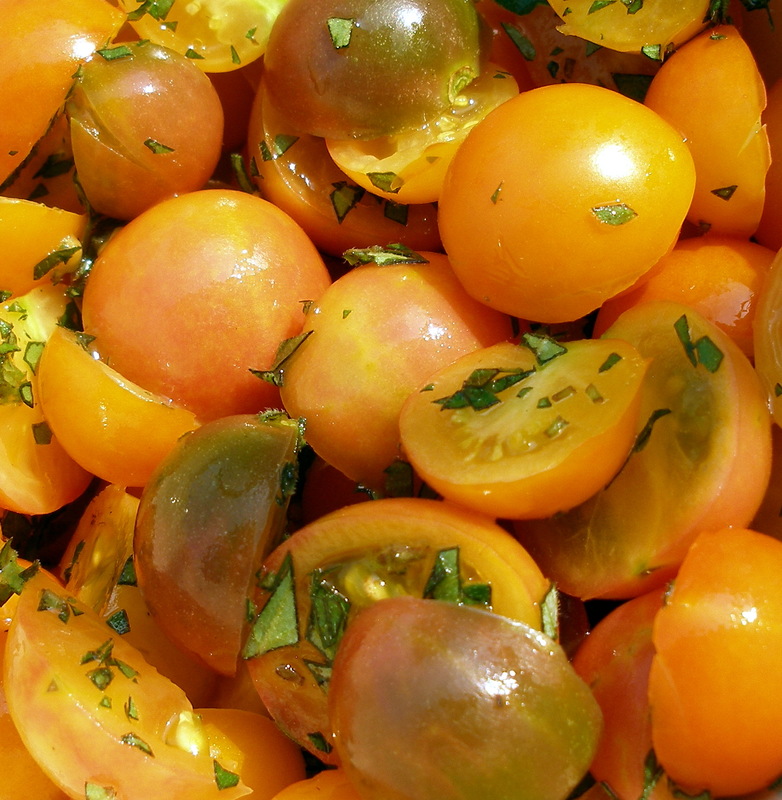 In a large bowl, mix the cherry tomatoes and the chopped oregano. Bring a large pot of water to boil. Add some salt. Dump in the fresh spinach pasta. Boil for 4-5 minutes. While the pasta bubbles, toss the shallots, olives, and feta with the tomatoes. Stir in some pepper and a splash of vinegar. Drain the pasta and pour the piping hot pasta over the cheese and tomato mixture. Stir thoroughly. Ladle into plates, top with cucumber slices, and season to taste.